Photo Programs Class with Steph & Jo - Steph's Studio Inc.
View cart “$15 Class Fee – No Supply Fee” has been added to your cart. 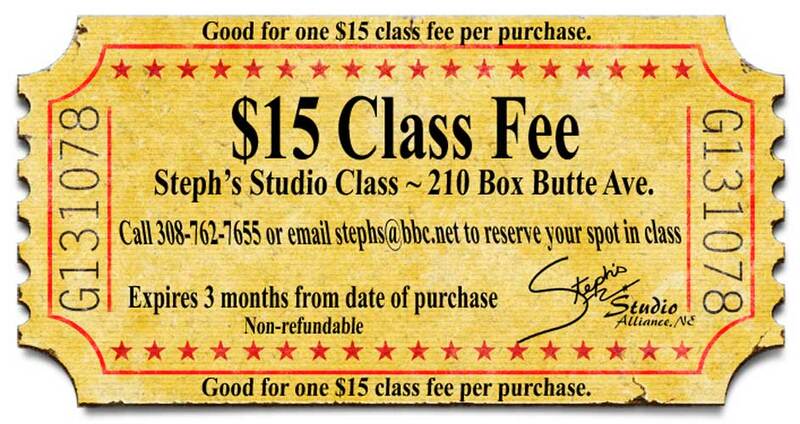 This ticket can be redeemed for any $15 off any class. 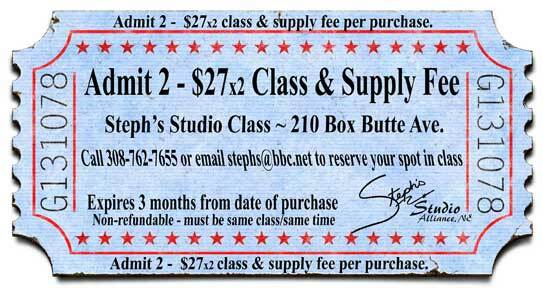 Please call 308-762-7655 or email stephs@bbc.net to reserve your spot in the class. Ticket expires 3 months from purchase date. Ticket will not cover class fees greater than $15. Good for $15 off class. 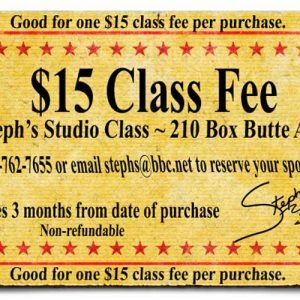 This ticket can be redeemed for any $15 off any class. 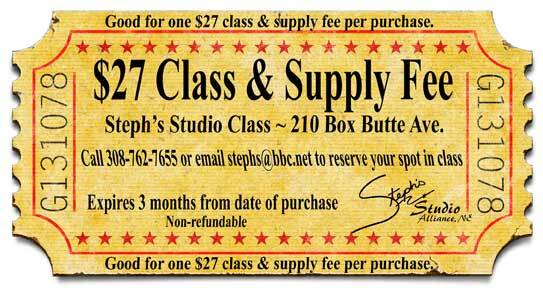 Please call 308-762-7655 or email stephs@bbc.net to reserve your spot in the class. Ticket expires 3 months from purchase date. Ticket will not cover class fees greater than $15. Good for $15 off class. Non refundable. This function has been disabled for Steph's Studio Inc..